I love living in Iceland and everything that comes with that but I am not sure if I have said before that sometimes it can be pretty difficult to find some things here in here... so everytime that I am thinking about making something I have to cross my fingers and hope for the best to find all the materials I might eventually need. Sometimes (or most of the times) it is an odyssey that requires going to many stores spread all over the city with the hope of finding at least something similar to what is needed. Well, actually, most of the times I end up getting something that is not exactly what I wanted and somehow I have to manage to make it work as I want. I can get very disappointed and grumpy sometimes because of this. I REALLY need to learn to control that... but it is so hard! I think that living in Iceland has made me become a more patient person... even though in the eyes of other (and especially Gummi) I am still very impatient! Let's see. 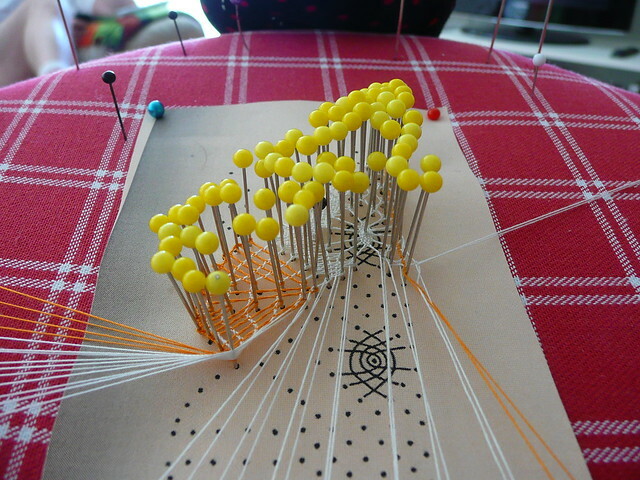 The last odyssey was finding thread for bobbin lace. I already mentioned little bit about this last time. When I was visiting Asturiasm where I bought my set of bobbins, I bought just one 500m skein of cotton n°20: big mistake... I should have bought A LOT more. I didn't think it would be so difficult and expensive to get some good thread here. I began searching for threads and managed to go to four shops with very little success. 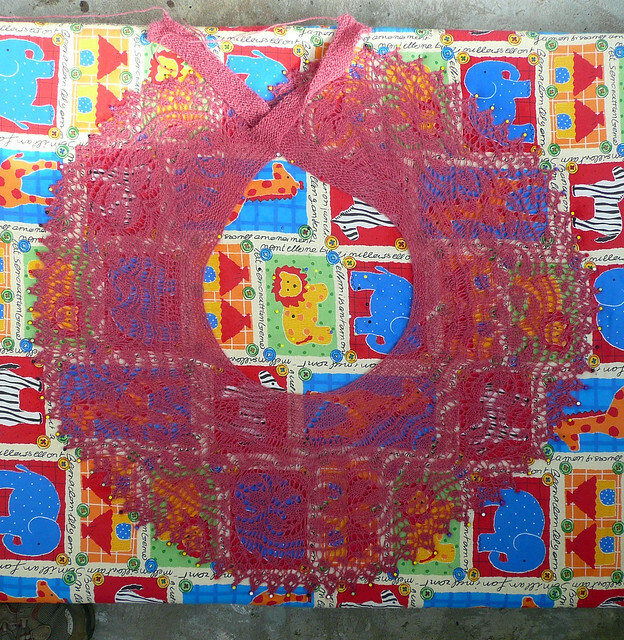 In most of them they had only polyester thread or very, very fine cotton thread. Most of the people I talked with looked at me as I was speaking chinese when I was telling them that I wanted some cotton thread, something from n°20 to 70 to make lace. Taken from the website of Heimilisiðnaðarfélag Íslands. I checked the website of Heimilisiðnaðarfélag Ísland (The Society of hand and homecrafts of Iceland) and according to it they had all the materials for making bobbin lace, as I mentioned in the previous post, I went there and they actually had linen thread but the woman working there didn't know much about what I was talking about... strange because I thought they were supposed to know what they have to offer. They really don't have a big variety of materials so I ended up buying just one skein of linen (with no number... ) and some more "un-numbered" thread for a terribly huge price. Last week I went to take a look at Storkurinn, a shop downtown in Reykjavík that sells mainly wool and also has a section with quilting materials. For my surprise they also had a lot of cotton thread in wonderful colors! But only n°30! Anyways... I bought a couple (and for a very nice price: only 560 ISK or 3.5 € each). As soon as I came home I tried them! Have I ever said how much I love lopi? One of the many reasons why I love it so much is exactly what I have been writing about now: It is possible to find it EVERYWHERE. And I mean EVERYWHERE and at an amazing price! Now I need to think about what to knit now! I am little clueless... I will have to dive into the books and Ravelry to find some inspiration! Hola Rodri!! vas como un rayo con el encaje de bolillos! madre mía! te felicito! qué bonito! bueno, y el Fichu...¡qué te voy a decir??! impresionante!! como siempre! Vá! 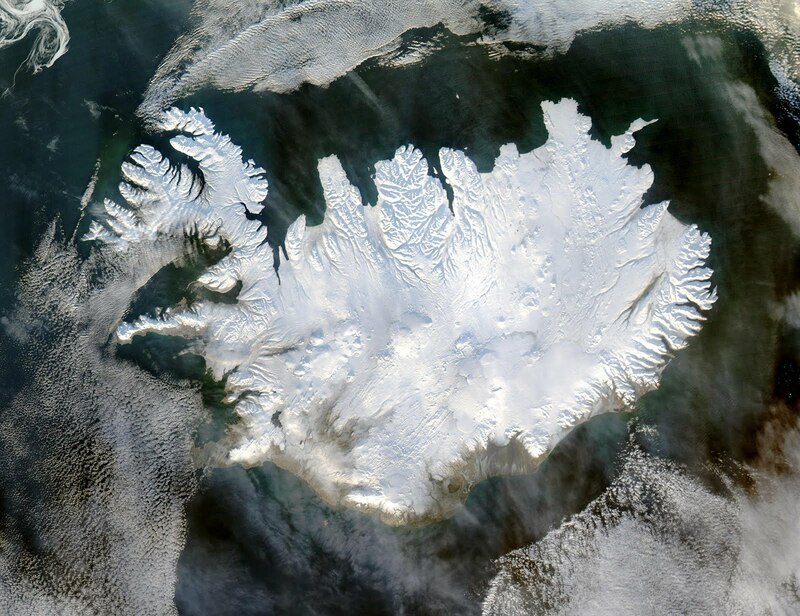 Mikið ótrúlega er Bobbinsið orðið fallegt hjá þér! Þú ert algjör snillingur! Og sjalið er auðvitað dásamlegt. Mér datt í hug þegar ég las þennan póst, hvort þú værir búin að kíkja í búðina "Knitting Iceland" á laugarvegi 25? Þar sá ég um daginn einhvern mjög þunnan þráð - ættir kannski að kíkja þangað í leitinni að hinum fullkomna þræði í BObbinsið! Rodri por donde empezar :)Es verdad que alli debes encontrar poca cosa, viendo lo chiquitina que es la cuidad,y te entiendo perfectamente , cuando no encuentro algo , o no puedo hacerlo me da pucheritos ja !! veras que hay hilos muy finitos como tu buscas , cuando quieras yo te compro... y te envio Rodri ,y si quieres otra lana ( tengo unas de lace de seda mmmm ) que no las usare y prefiero hacer un regalo , asique tu ya sabes estoy a tus ordenes ..
el Cuello/chal es precioso ,me encanta .. The thing about buying online it a mixture of two things: first, yes, I am a little bit impatient but second, and most importantly, it is too expensive to buy online! Everytime that you get a parcel in Iceland that comes from an online foreign shop you have to pay a costumes tax that is 25% which is applied not only to the price of the item you bought but to the total price including the shipping! For now, with that I have found here I can work with my bobbins... actually the last threads that I bought (the white and the orange ones) were in the quilting section of the shop :) and they are working just fine! I think I have already found what I will knit next... I'll let you know later on, hehe. All the best fro you!! 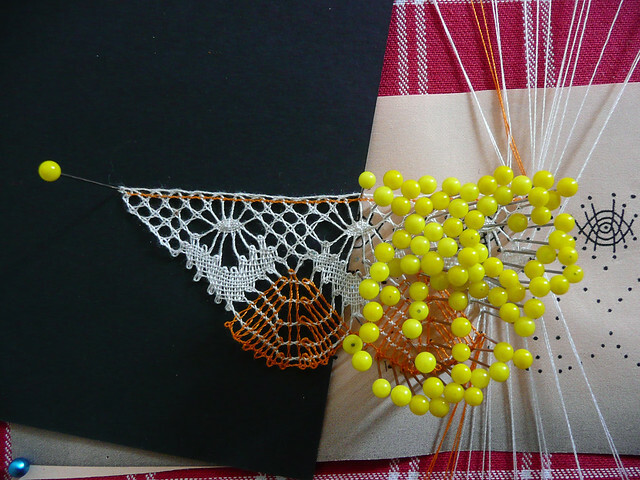 I love the bobbin lace. The thin yarn makes it look beautifully delicate. Did you know that you can shorten your links with AdFly and get cash for every click on your shortened links.